Party Tree, originally uploaded by Captain Chaos. This picture is from the private farm where "Hobbiton" from Peter Jackson's film "The Fellowship of the Ring" was filmed. 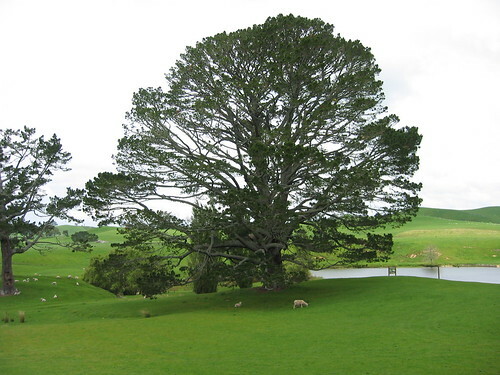 The tree in this picture was in the party scene where Bilbo slips the ring on to disapear from the other Hobbits.